Almost every business in the UK will use a plastic pail or container to package or transport goods around the country. Before you approach any plastic pail manufacturer make sure you thoroughly consider your needs and options. After all, behind every good businessman is a network of trusted suppliers. Nobody ever says ‘don’t judge a bucket by its cover’. And that’s because a bucket’s appearance matters. The packaging of your product becomes part of your brand’s identity and so should be held to the same standard as everything else you produce. Finding the plastic pail that fits with your brand image is important. The best manufacturers will sell pails in a range of colours and may even offer a bespoke ‘company colour’ service. It’s important to consider what protection a container will offer your products while they are being stored or transported. Some businesses in the UK choose to import cheaper plastic containers from Asia or Continental Europe. Usually, these containers are a lot weaker owing to the type of polymer and amount of raw material used. If a container splits, a company’s reputation can be damaged with the contents. Although it may be tempting to opt for the cheapest container, it can actually be more expensive in the long run once you account for the cost of replacing cheaper containers and the strain you could be putting on client relationships. If you want to be sure of a container’s strength, you need to find a manufacturer who is committed to testing their plastic products. A quality bucket supplier should test for compression, lid strength, crack resistance and temperature tolerance before releasing it to the customer. And on large orders, they should produce one test bucket that a client can use to make sure the container is fit for purpose. Evaluating a container’s quality is absolutely paramount. Unfortunately, it can be difficult to assess the quality from a photo or description. Manufacturers that operate ISO 9001:2008 have proven their ability to consistently supply products that meet strict requirements. Quality control must be maintained using a thorough Quality Management System that puts the customers first and constantly strives for improvement. We understand that every business is unique, and no single pail fits everyone’s needs. If for example, your pail is for storing or transporting foodstuffs then the storage container must be compliant with food-standard regulations. Other businesses, particularly those exporting internationally, have other regulations to meet. Notably, a UN regulation requires any hazardous material to be carried in a strong ‘UN-approved’ container. Quality plastic manufacturers should have these kinds of products in their range. 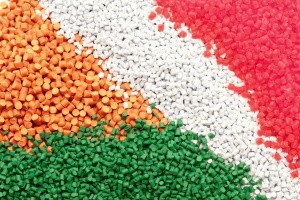 H&O plastics are a reputable plastic pail manufacturer which meets all of the above criteria. You can browse for the perfect plastic container that best fits your needs in the products section of our site or for larger orders call a member of our team on 0151 639 0002.